We’d like to hear from you more often. We’ll be hosting new surveys every month to learn more about what you think as we continue to find new ways of improving. Take our April Customer Satisfaction Survey for your chance to win 1 of 5 $50 prizes for your PRESTO card. We’re always looking for ways to improve our services and programs, and it helps us when we hear from you. 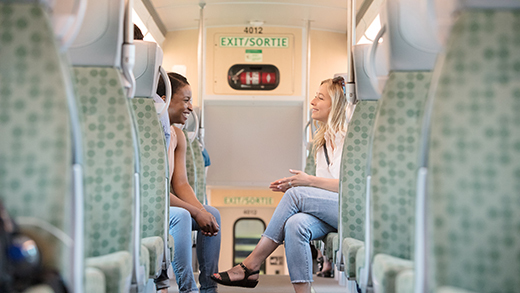 We improved the GO Train Service Guarantee claim process so that you’ll know right away if a trip is eligible for a refund. The improved system also allows us to process claims faster. Your opinion matters — we want to hear from you.